Bold, yet mellow. 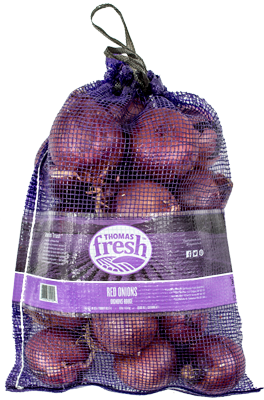 The red onions we source (sometimes called purple onions) have a mild flavour. Beautiful red colour with a ting of purple. Light and sweet in flavour. Less pungent than white and yellow onions. Great for uncooked dishes! Use in salads and sandwiches or lightly roast. 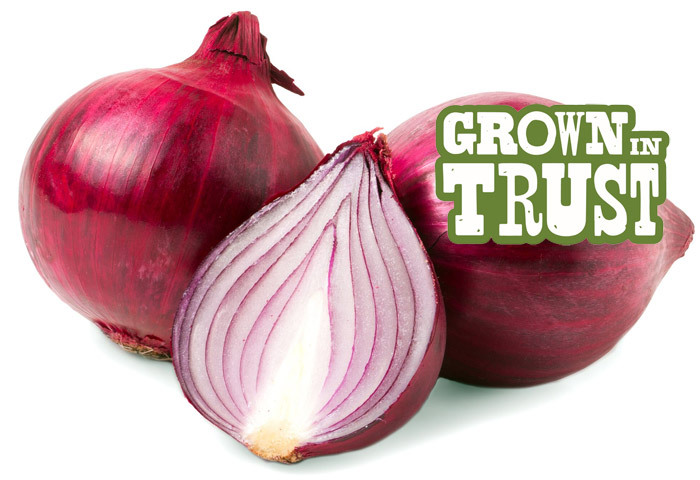 Red onions are higher in fibre than both yellow and white onions!